One of the best ways to brighten up your office environment is to consider the overall decor. Whilst a lot of rented buildings won't allow you to decorate, those that do have creative control of their renovations should definitely use it to their advantage. Whether that means creating an office the sticks to your companies branding or going completely wild and creating a space that encourages creativity - there are so many different things you can do with a lick of paint and some accessories. 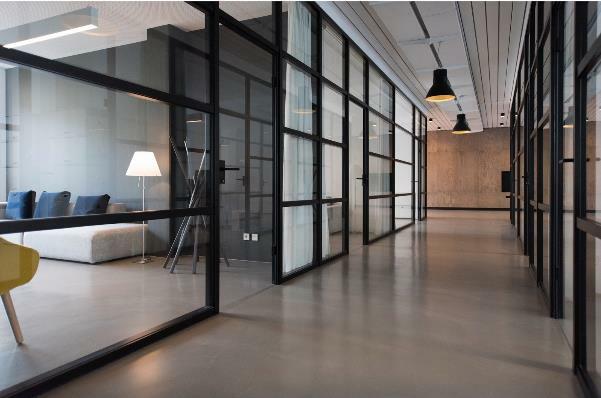 If you're in an office that is naturally dark then you need to work out how you can use your windows and the natural light to your advantage. Having a dark office is a mood-dampener and if people aren't happy at work, their work is going to reflect that. if you have control over the lighting, consider installing lights that adapt to the lighting situation automatically. For more information, you can visit this site here. A great way to keep people happy and motivated is to display motivational quotes throughout the office. Whilst they may not please everyone, often it can be all someone needs to help them get through the day. If it helps, consider changing them every now and again to switch things up. Flowers are known to be a great mood booster so if you're looking to bring a little bit of the outside in, then dotted around a couple of different flowers could be a great way to keep spirits high. Whether that means having vases of peonies around the office or allowing everyone to have their own desk plants, the effects they can have on productivity are incredible. To learn more about plants as a mood booster, you can visit this site here. If you have a number of different meeting rooms that you want to renovate, consider making them a space that really encourages creativity. Whether this means using blackboard paint to coat the walls or creating an interactive board in which people can leave ideas, having a place people feel comfortable sharing ideas is important when it comes to meetings. If you're looking to encourage everyone working together as a team, having an open plan office could be a really good idea. Rather than having dividers that separate everyone's desks from one another, consider making an environment that allows everyone to see one another. Encourage people to talk and interact, promoting a much happier working environment for everyone. Whilst it may seem like a bad idea at first, there are so many benefits to having an open plan office. First of all, it will allow everyone to get to know each other, building a strong team from the start. Secondly, it will encourage people to collaborate, having everyone throwing ideas around the room and helping one another out. Finally, it’s a way to show others that your business works in harmony together, with visitors seeing the incredible way in which your team interacts with each other. What more could you want for your business? Finally, you need to ensure your office has a space where people can relax and switch off from their screens. Whether this means creating a breakout room or having a kitchen space available for lunch breaks, your staff need to feel as though they can escape if they need to. Remember, the more creative this space is the better! You want people to want to spend their time there. For tips and tricks on creating a space for your staff to relax, you can visit this handy guide here. Are you trying to find ways to brighten up your office? What changes can you make? Let me know in the comments section.